PEPPERMINT PATTI’s FAQs come out every year or two. Version 10.1 (2015, English) is 150 pages of answers to the questions most frequently asked (plus many less-frequently asked) about hepatitis C. It contains information about the hepatitis C virus (HCV), its treatment, and related complications. Aimed at patients, caregivers, and others who need very practical hepatitis C information at their fingertips, HepCBC tries to ensure the FAQs are as current, accurate, and accessible as possible. Our FAQs are an informal catalogue of accumulated knowledge by people who, for the most part, are not medical professionals. As the FAQs develop over time, we add further references and citations documenting statements made here. IMPORTANT DISCLAIMER: As useful as this information may be, it must not be considered as, nor used as, a substitute for medical advice. And as always, don’t forget to use your common sense. It is important that anyone who has, or thinks they may have, hepatitis should consult with a licensed health care practitioner who is familiar with liver disease and systemic disorders. 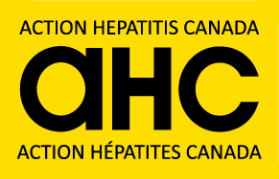 HISTORY and ACKNOWLEDGEMENTS: Much of the information contained in these FAQs was originally compiled from various personal experiences and opinions on the HEPV-L and HepCAN mailing lists, and from original research published in the hepc.bull. Patricia Johnson (aka Peppermint Patti, the original compiler of the FAQs) asked C.D. (David) Mazoff, PhD (aka squeeky, formerly with the HCV Advocate — www.hcvadvocate.org — in San Francisco) if he could take over the arduous task of revising and updating the FAQs. Dr. Mazoff eventually passed the torch to Joan King of HepCBC. Joan now updates the FAQs in cooperation with Alan Franciscus of the HCV Advocate who provides the hepc.bull and Peppermint Patti’s FAQs with most of the updates about current HCV research.